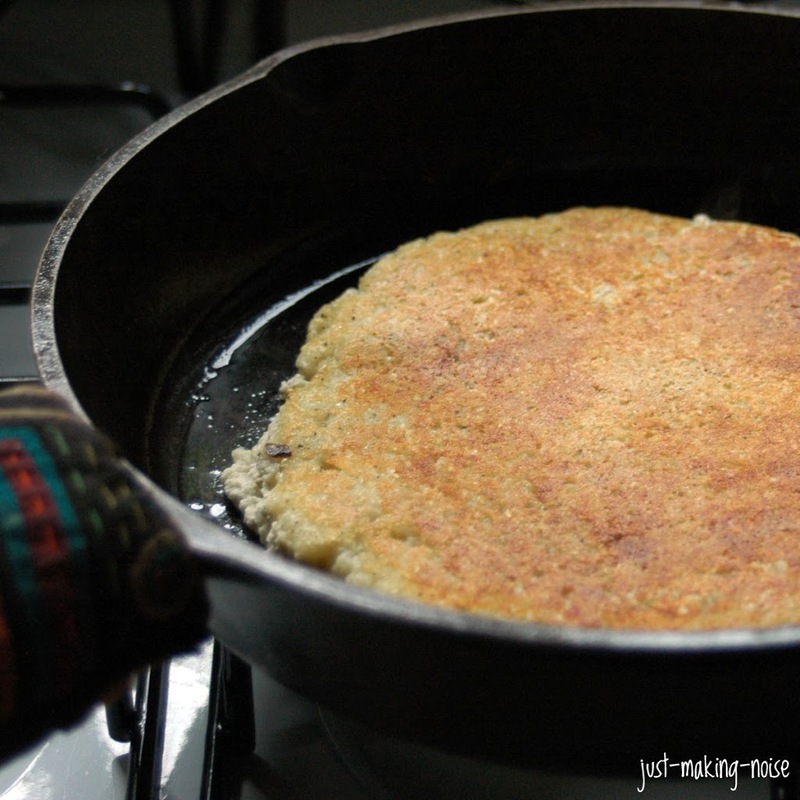 These Costa Rican corn pancakes has become a favorite in my family. Very quick and easy to make, especially if you have lots of fresh corn in hand. There are three different ways you can prepare these corn pancakes: sweet, plain or cheesy. I’ve done all three and liked each one, but I’ve made the plain version often because we love all the toppings we can put on it. Whirl everything (except oil) in a blender till smooth. Pour into a bowl and warm oil in a cast-iron pan on medium-high heat. Scoop out 2 spoons full into the pan and spread into a circle like pancakes. Lower heat slightly, let it brown lightly (about 2 minutes), flip it over and cook till golden. Put aside on a plate covered with a towel to keep warm and keep making more till the batter is gone. It is great for breakfast, lunch, dinner or as a side dish. Serve with cultured sour cream or your choice of toppings! Simple, easy and tasty. SWEET version: omit the garlic and oregano. Add 4 Tbsp. of your choice of liquid sweetener or 1/4 cup sugar. CHEESY version: before flipping the pancake, sprinkle your choice of cheese on top and flip it. Make sure your pan is well greased to keep the cheese from burning into your pan. Another thing I love about the corn pancakes is they can be made dairy-free and totally vegan. These are also wheat-free, but I know some of you might be sensitive (like my mom) or allergic to corn… but to those who can enjoy these, get back to me and let me know what you think! mmmm. i wish i could come to your home for breakfast! all your food looks so so good. and i love corn pancakes, my mom makes great ones and thee look so yummy! Emily- LOL! thank you. It would be fun if everybody could travel all over the world to try the foods on the blogs. I guess in some ways we already do that through Foodbuzz and the food blogs. Traveling through cyper space! I am so excited to make this today! Diana – I hope it goes well for you!! Let me know about it. 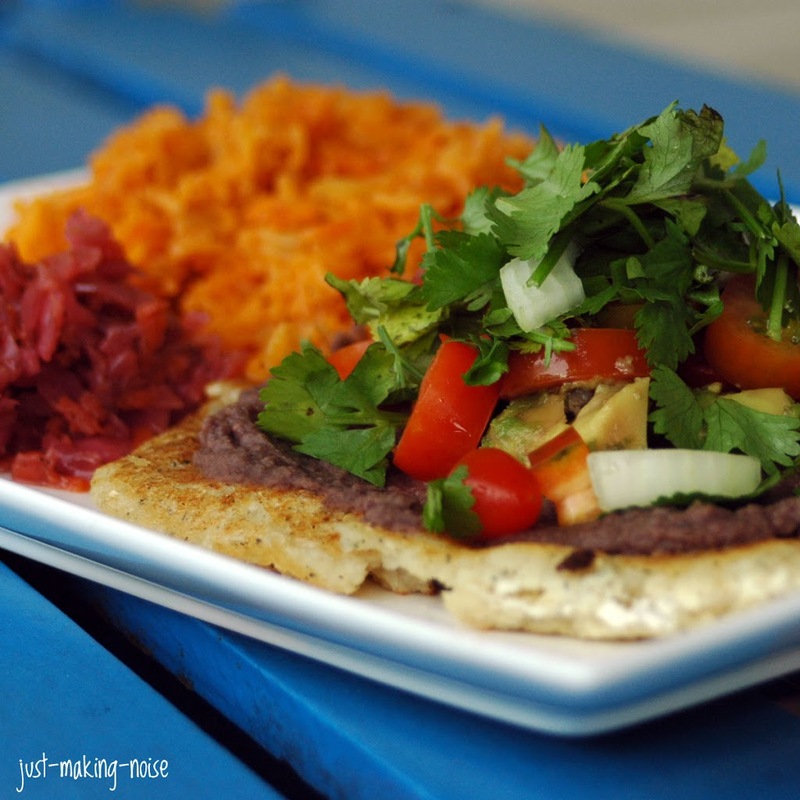 LOVE your post on “La Frontera Grill”… can’t wait to go! Oh how I miss Costa Rica and the food. I have this craving for Costa Rican food and this is definitely something I’m craving right now! My host mother made this for me one morning. I think she cut an orange in half and squeezed it into the batter. I’m thinking about making this. Thank you for posting it! Just found your blog and being gluten free was excited to try some of the recipes. My first was the corn cakes. From what I could tell the flavor was amazing, but it stuck to the cast iron pan terribly and seemed too watery to form an actual cake. I have a “vitamix” that blends at a very high speed, is it possible it was over blended? ps: tried to add a little coconut flour to it which helped but altered the flavor….still good, but a bit dry. Kimber – You are not the only one who has had trouble. I don’t know what it is… maybe different kind of corn? The corn in Central America is much denser then the USA sweet corn. Maybe add a little arrowroot because it doesn’t have much flavor. Also, make sure the cast-iron pan is HOT before pouring the first pancake. DO NOT turn until it is lightly brown. It has to set while cooking to stay together. If you need to… use less milk. I find that milk is better than water because it holds it all together better. Let me know that all that helps! I am thinking I will try making these while we are in the USA to see if the corn is the problem. I am not sure if I understood correctly, you mean fresh corn uncooked? yes, fresh uncooked corn… they would scrap the corn right off the core at the market for me. But you can do that yourself at home too.